I was not satisfied with the quality of the food. The chicken was extremely tough. I was totally surprised because if chicken is cooked properly it should not be tough to chew. Tried this truck for the first time, and will not repeat. I bought the pulled pork bbq sandwich. At $8.50, it was more expensive than the BBQ I've bought at other trucks, and the sandwich was very small. There was so much cole slaw on the sandwich, that it drowned out the small bit of pork. And the taste was just so-so. How Much Did It Cost? : $10, I think. Daughter paid. Tasty. Chicken was weird texture - crunchy like it was filled with gristle. We threw it away. Suggest you find a new supplier for your chicken. Sorry, but we were disappointed. Ordered the chicken sub with bacon,L/T/M, and ranch. Great tasting sandwich and came with crinkle fries and two cookies (red velvet) for $7.50, I believe. Great food and great people. 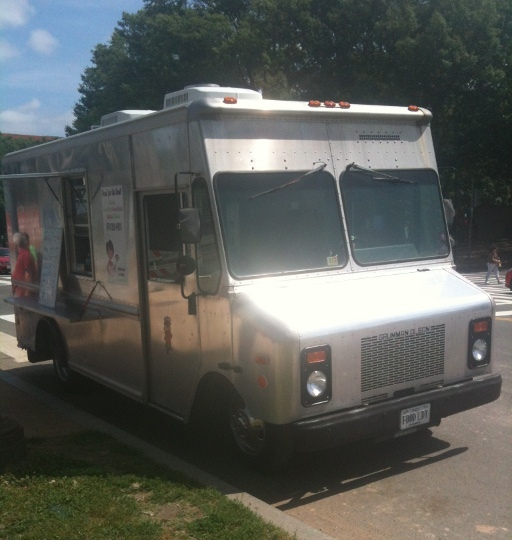 Both the sweet potato fries and corn on a stick are great at this truck. I've also had their Pollo Asada tacos in the past, and for the price, it was good taste and value. People in the truck are always friendly. They had really good bison burgers. They were large and served hot. I thoroughly enjoyed the burger. Will visit again if they are in the area. More like 2 mini burritos than 2 tacos. To their credit, its packed with rice and beans. Also topped with cheese, salsa, and sour cream. Came with 3 strips of beef. But it wasn't very tasty or served hot. So that's an issue. I dont know what is going on with you... who do you think can afford to give you $5.00 for two whitting strips on a hamburger bun. First of all the fish had been sitting for a while, causing it to become dry. when you handed me the sandwich, I could tell it want much to it, so I opened it in front of you, never touching it, I was so shocked when I looked at my sandwich, I immediately asked for my money back and you said I couldnt... If I had the time, I would have called the cops, because I could have gotten my money back for the record. You've definately got a get rich scam going on, because a frozen bag of whitting is less than $10.oo and you are charge folks $5.00 for two small strips and calling it two pieces of fish, you need to put your self in your customers shoes, you should treat others in a way you wouldnt want to be treated. Enjoy that $5.00 that I gave/donated to you because the fish tasted terrible and I dont eat bread. 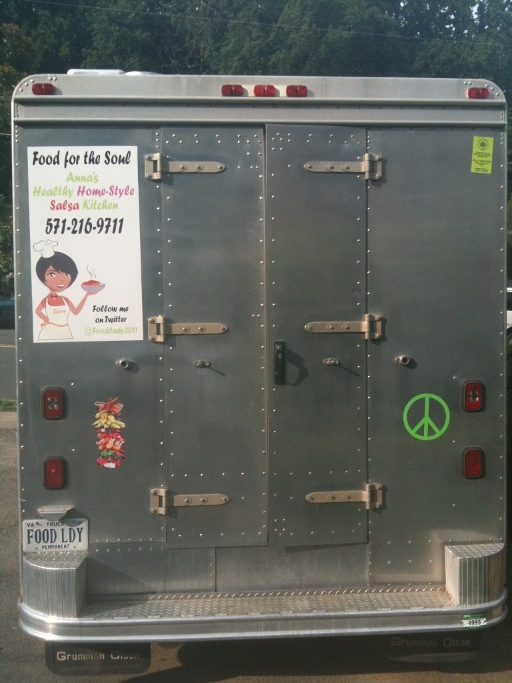 Food for the Soul serves soul food in Fairfax, Virginia. Menu items include Bison burgers, Fries, Fried Fish, Carne Asada Tacos, Grilled Corn, Black Beans and Rice and a great breakfast Burrito.